The son of French oceanographer Jacques Cousteau is set to visit a so-called Russian “whale jail” that has attracted international outcry. 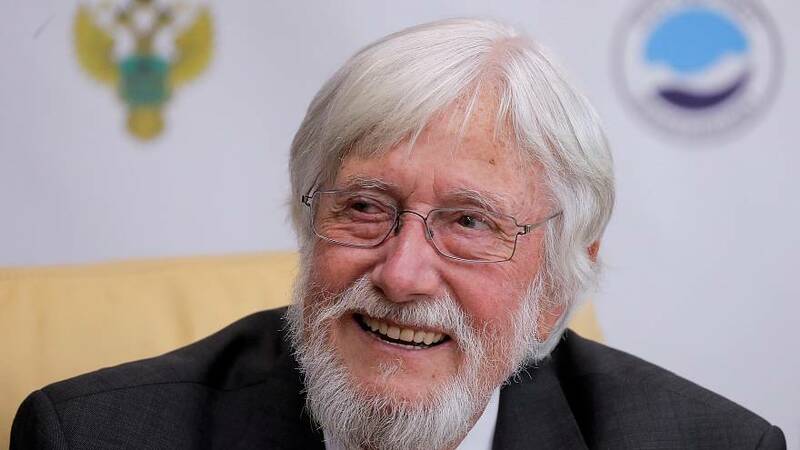 Jean-Michel Cousteau, also an oceanographer, has travelled to meet Russian officials and plans to visit the site in Nakhodka. “We are not here to criticise, we are here to help and see that in some way, after a certain time, we can release them,” said Cousteau after meeting with Dmitri Kobylkin, Russia’s environment minister. The whales were captured illegally last year by a consortium of four companies whose apparent intention was to sell them to marine entertainment parks in China, according to the Whale Sanctuary Project. Kobylkin, speaking at a press conference with Cousteau, said the whales should be set free this summer. He claimed they hadn’t been liberated before because it was winter. Cousteau, meanwhile, used his blog to highlight the importance of the whales. "In captivity, they suffer from mental distress, physical illness and shorter lifespans than they would live in their natural ocean homes. "Sound is their primary sense used for communication, socialisation, and hunting. When confined in concrete tanks, orcas cannot fully utilise this highly evolved sense to understand the world around them."